All the hype from Rotten Tomatoes, I was really disappointed with this movie. One word can describe it, horrible. It has such a big potential to be a blockbuster with a couple of changes. First, the pink font has to go, totally unmasculine the movie. The pace was way too slow for a supposedly action/crime/drama movie or even a triller which most of the reviewers categorized it. 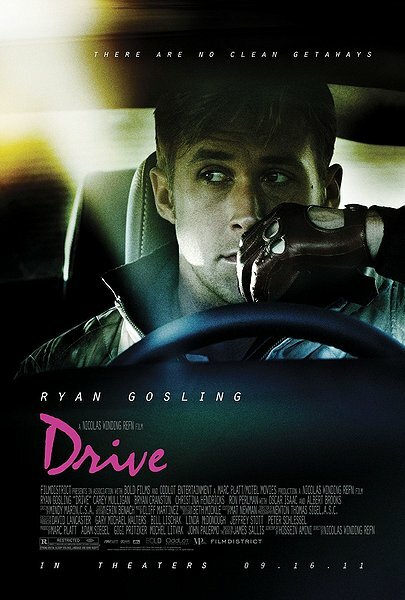 The first scene where Ryan Gosling drove as a getaway driver was perfect but ended abruptly with me scratching my head trying to figure what happened to those 2 robbers/passengers in the car. Did they get away too? A couple more scenes like that would make the movie a huge hit. I would probably substitute the romance with action. The love story was spark-less and emotionless between Carey Mulligan’s and Ryan Gosling’s characters but with dropped hints everywhere. I can’t see realistically how the relationship between Oscar Isaac and Carey Mulligan could have been started or even continued with him in the prison. Her image is way too goody-goody for that. Albert Brooks was perfectly casted as scary mob boss. This was not the best performance from Ron Perlman. It was certainly nice to see Ryan Gosling on the big screen again since The Notebook. My, he has grown into a well-build physique (stopping the drooling now). Other than the amazingly violently gruesome scenes, it still will not go on my wait-for-DVD movie list.